Folsom came in at #2 in a rating of the best cities to live on the West Coast. The rating was compiled by the website Smart Asset. 150 cities were ranked. Nine of the top 10 were California cities. The only other Sacramento area city in the top 25 was Elk Grove at #14. The list used 10 factors to determine the best place to raise a family. 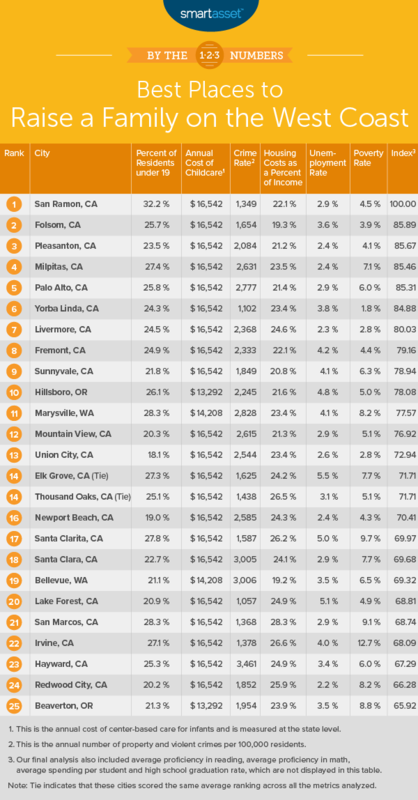 Bay Area cities dominated the top 10, with 7 cities and the #1 city, San Ramon.